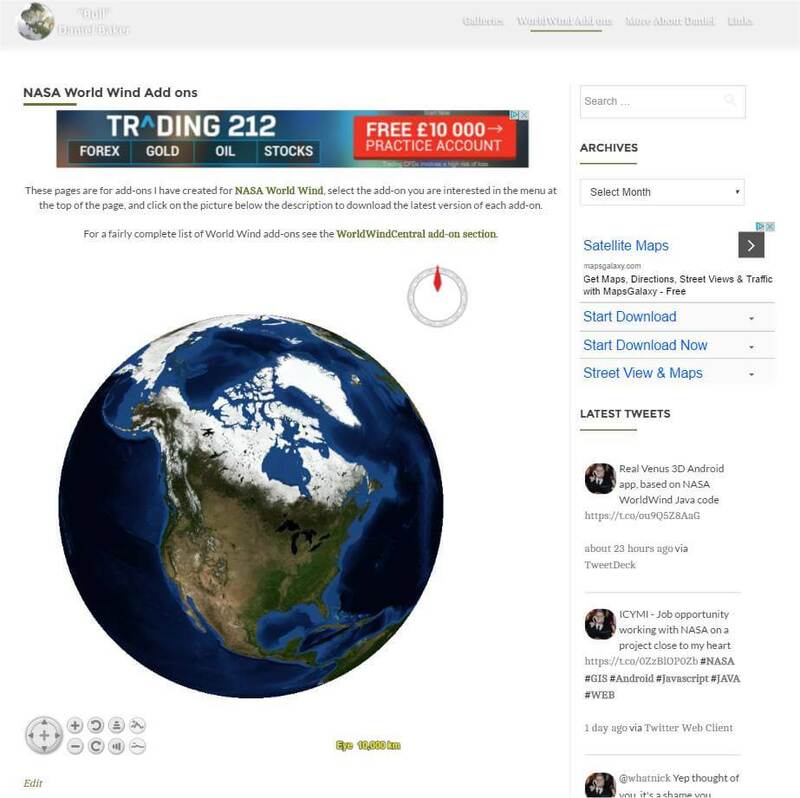 I have been doing a little experimentation on getting NASA World Wind inside WordPress as it’s not as easy as simply pasting the code from Web World Wind into a page, that’s not to say it’s hard, it just requires a little research. Our server admin has been hard at work and has managed to get an image off our RAID array, he is currently copying all 4 TB of it and will then try to mount it, if all goes well we can get the forum back up soon. I apologise on behalf of FEF for World Wind Central and Madmappers being down, our RAID array has failed, I don’t have much information but we are working on getting something sorted as soon as possible. Dominic has updated the glue records and WorldWind Central now seems to be working fine. Sorry again for any inconvenience caused.